Luxury? Playful? Sporty? Which PFD is right for you? Life jacket. Personal Floatation Device (PFD). Life preserver. Life vest. 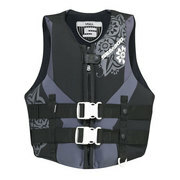 Whatever you call it a PFD is required by law for all Sea-Doo drivers and riders when on the water. 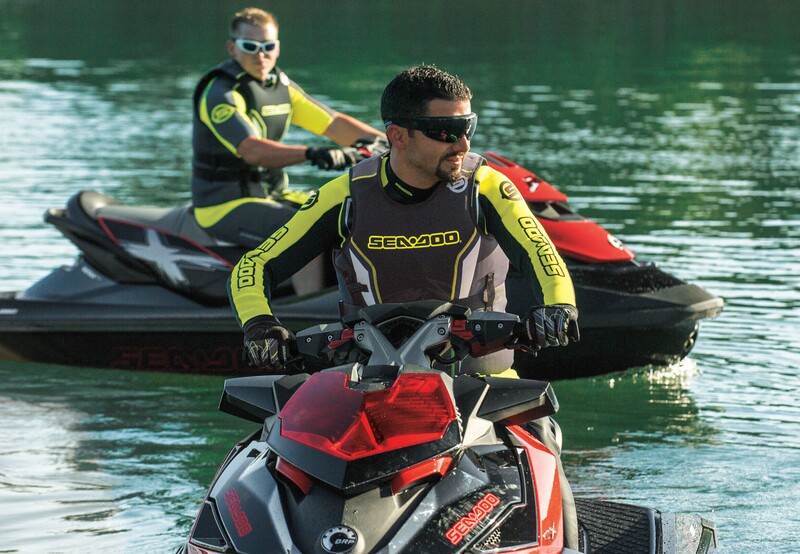 An additional requirement for Sea-Doo drivers is the attachment of the D.E.S.S. key or Sea-Doo lanyard to the driver’s PFD. This is a safety requirement in case the driver were to turn a sharp corner and end up in the water, this immediately stops the watercraft engine. All Sea-Doo PFDs come standard with an integrated D-Ring for your Sea-Doo key connection. There are many types of PFDs on the market. When making a decision on what PFD to choose you should take a few things into consideration. 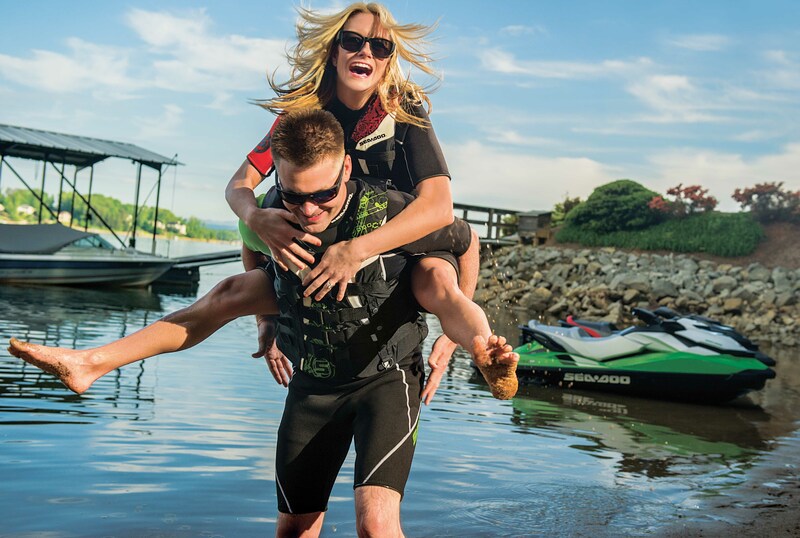 To help you select the one that best suits your needs, Sea-Doo offers a wide selection of PFDs for all riding style and all personal preferences. Teaching your kids to wake skate, spending the day playing in the sand and water at your favorite sandbar…sounds like a fun and playful day on the water. Our colorful Vibe PFDs are as colorful and playful as the Sea-Doo Spark watercraft! 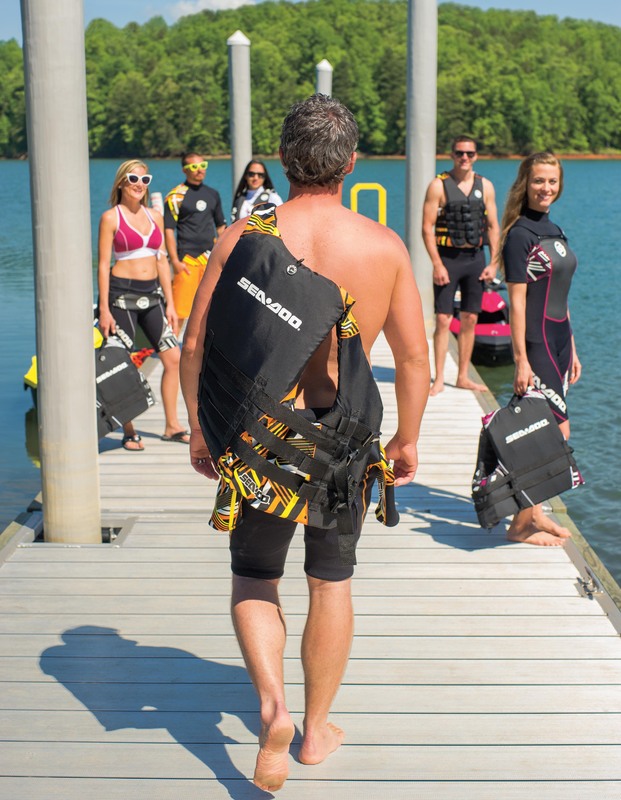 They are made of durable super-duty nylon and include 4-quick release woven straps so you can easily transition from shredding on your Sea-Doo watercraft to relaxing in the sand. 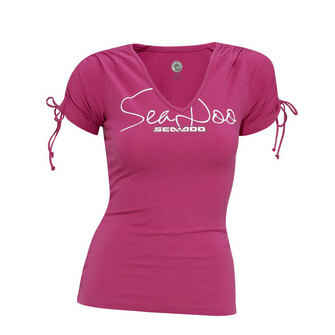 Available for both men (men Canada) and ladies (ladies Canada). Last one to the Sea-Doo watercraft has to ride passenger…(great consolation prize considering it’s one of the best seats in the house!) 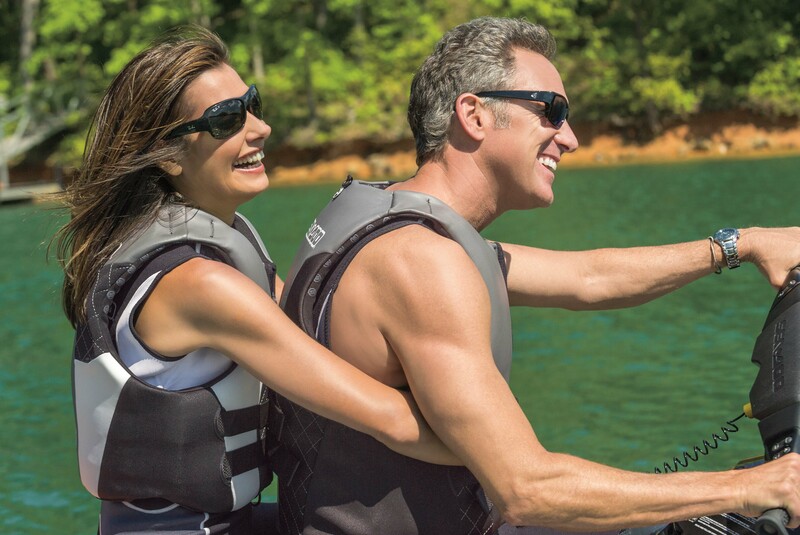 Our Motion PFD lineup adds a spirited design and fun to on-water safety. These PFDs are constructed of lightweight super duty nylon with an integrated D ring and the 4-release strap system. These PFDs dry in a few minutes with low water absorption and are flexible so you can wear them for hours without any comfort concerns. Motion PFDs are available for both men (men-Canada) and women (women-Canada). We’ve got kids covered too! We’ve got a versatile lineup of youth PFD to fit everyone from the littlest Sea-Doo enthusiast to the wakeboarding teenager in your family. 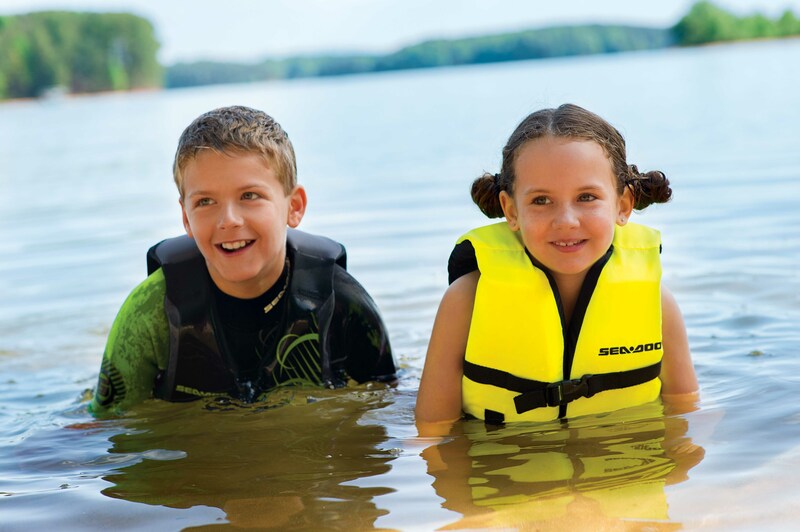 Our youth PFD lineup includes the Jr. Freewave PFD (Jr. Freewave PFD-Canada) and the Kids Sandsea PFD (Kids Sandsea PFD-Canada) They are all specifically built for them to provide the proper safety and protection, are ultra durable and are kid-proof. Pop Shuv it. Inside Out Front Side Big Spin. Heel Flip. Backside 360. If you understand the language of Wake then the Freewave model is a perfect choice for you. 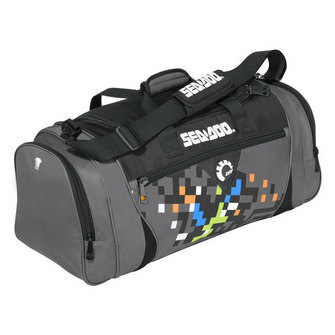 This model is made of ultra-durable neoprene and flex with your body when you are attempting or landing some of the tricks of the trade. They include a zipper closure as well as two woven straps for added security. 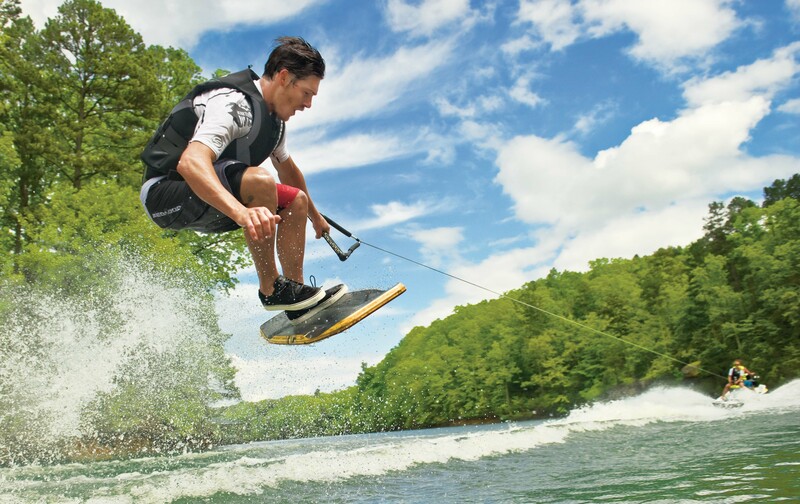 These neoprene PFDs dry quickly as chances are you may be spending a lot of time in the water until you master these challenging on-water tricks behind your Sea-Doo WAKE watercraft. We carry the Freewave PFDs for men (men-Canada), ladies (ladies- Canada) and the daring wake boarding kids (kids-Canada) in your life. Dom Pérignon. Cadillac. Hermes. All brands synonymous with luxury. 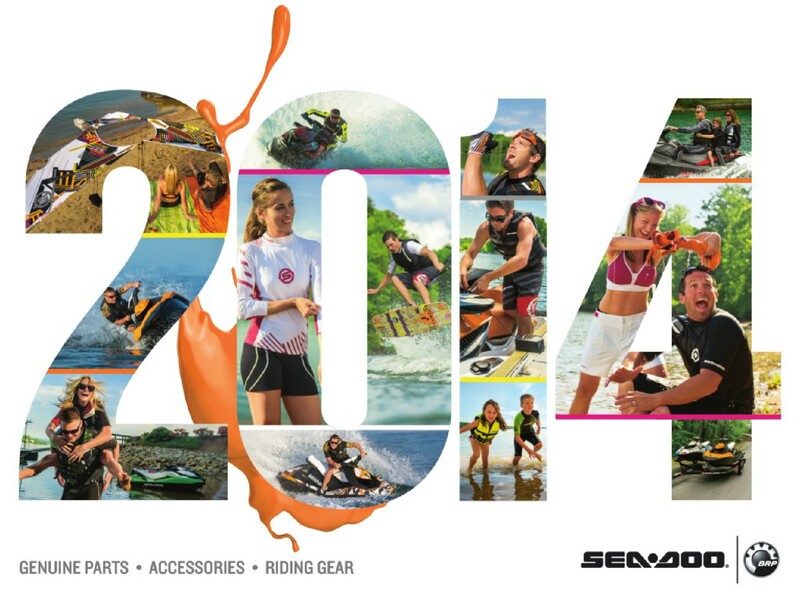 Sea-Doo’s Luxury collection ranks among the best. For those of you with luxurious tastes the Airflow PFD model is ideal for you. Not only are these PFDs luxurious, soft and comfortable they are also Eco-friendly as they are constructed of 100% PVC-free biofoam. 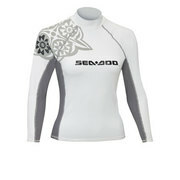 This material is 30% lighter than standard neoprene and helps with quick drying and added comfort. These PFDs also provide more protection from cool weather with the EVA inner molding – perfect for cooler climates up North. Available for both men (men-Canada) and women (women-Canada). 3…2…1…. GO! If you start each Sea-Doo on-water session as if you are on the starting line and can’t seem to keep your Sea-Doo below 50 mph, then chances are that you have a bit of a racer in you. 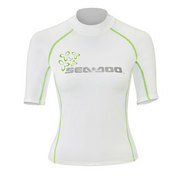 You will love the Force Pullover PFD (Force Pullover PFD-Canada). This PFD was made for amateur and professional racers as well as the water warrior! The Force PFD is a pullover PFD designed for comfort. 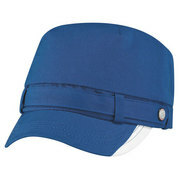 It is made of neoprene and closes with both a zipper and quick release buckles. The Force Pullover fits snugly and feels like a second layer of skin, so comfortable you barely notice that you are wearing a PFD. So whether you are a racer or want to be a racer, you will look the part and be safe and comfortable in the Force Pullover PFD.